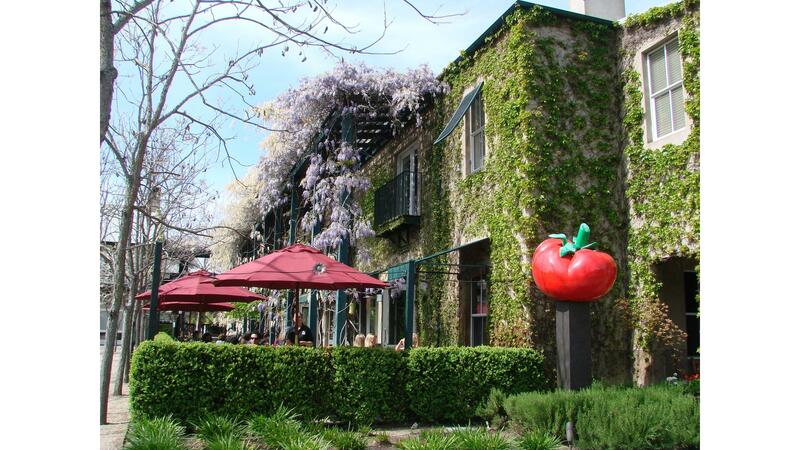 Rent Pizzeria Tra Vigne | Corporate Events | Wedding Locations, Event Spaces and Party Venues. Tra Vigne is a destination for celebrations- a place to toast an anniversary, a promotion, or the end to a long week. But it’s also a place to hold life’s most precious occasions- weddings, rehearsal dinners, proposals, showers, milestone birthdays, or anniversaries. The menu at Tra Vigne represents the marriage of two of the world’s most renowned culinary regions: Tuscany defined by hearty pastas, meats, cheese and olive oil and Napa Valley – a destination that celebrates fresh, local ingredients with a focus on artisanal preparation designed to highlight its acclaimed wines. Located next door to Tra Vigne Restaurant, the pizzeria serves a large variety of classic and specialty brick oven baked pizzas, authentic pasta dishes, insalata and delicious gelato. Our authentic Neopolitan pizzas are expertly cooked in a handmade brick oven. The relaxed atmosphere, personable service and outstanding food, wine and beverage menus make Pizzeria Tra Vigne a favorite restaurant for Napa Valley vintners and families alike.